The occasion is ‘Made In Italy’, a two-day exhibition at the Protein Space in Shoreditch, sponsored by the Italian paper manufacturer Fedrigoni in association with SEA Design, who selected the material from the archive of the AIAP in Milan, and Monotype. 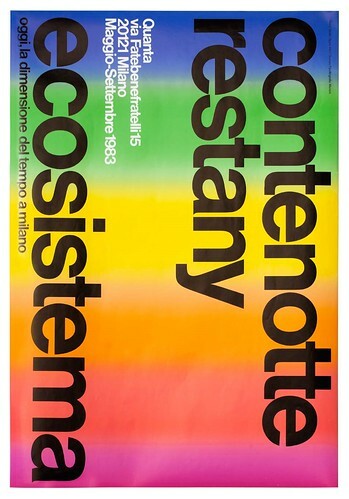 Heinz Waibl, ‘Contenotte Restany Ecosistema’ poster, 1983. 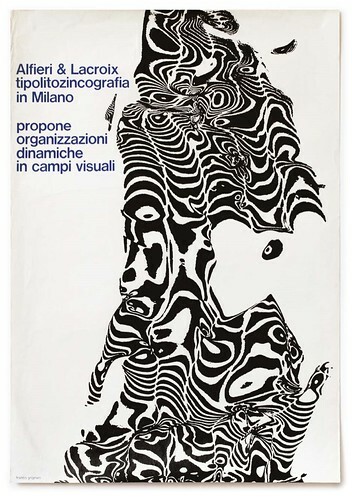 Top: Franco Grignani, exhibition poster, 1972. There will also be a book designed by SEA (with an introduction from Eye’s John L. Walters), and a series of ‘Made In Italy’ leaflets that focus on individual designers – all printed on Fedrigoni papers as part of an extensive marketing campaign for the company. (1908-99) and Massimo Vignelli (1931-2014). 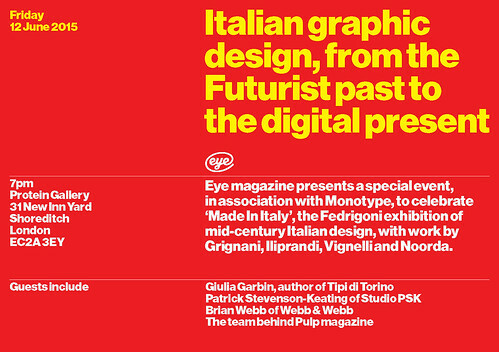 Eye magazine will be hosting a special event on the evening of Friday 12 June with Italian graphic designer Giulia Garbin (author of Tipi di Torino), her Studio PSK colleague Patrick Stevenson-Keating and Brian Webb of Webb & Webb. There will be presentations, beer, wine, and a chance to see the ‘Made In Italy’ exhibition on a social occasion. Tickets are free via Eventbrite but you must book. 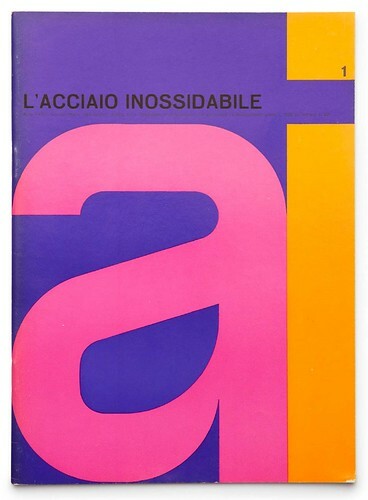 Ilio Negri, cover of magazine L’acciaio Inossidabile, 1965–1968. 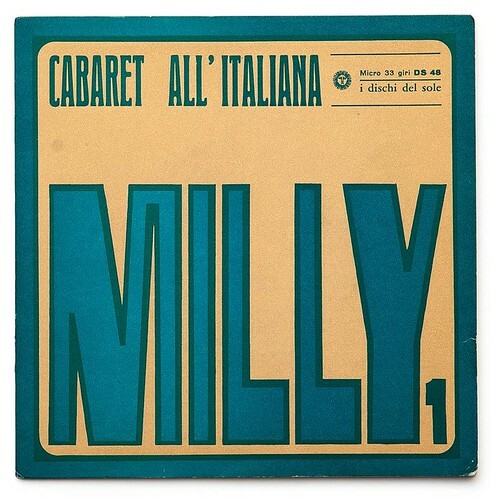 Giancarlo Iliprandi, record sleeve design for Cabaret All’Italiana Milly1, 1965. 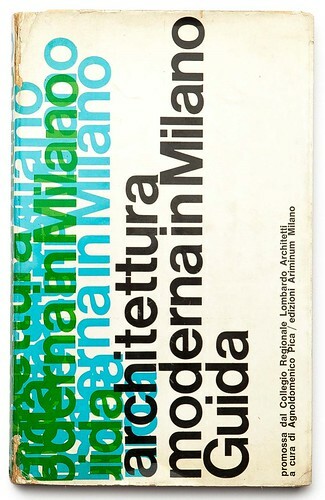 Cover design by Massimo Vignelli for Architettura Moderna in Milano, 1964. 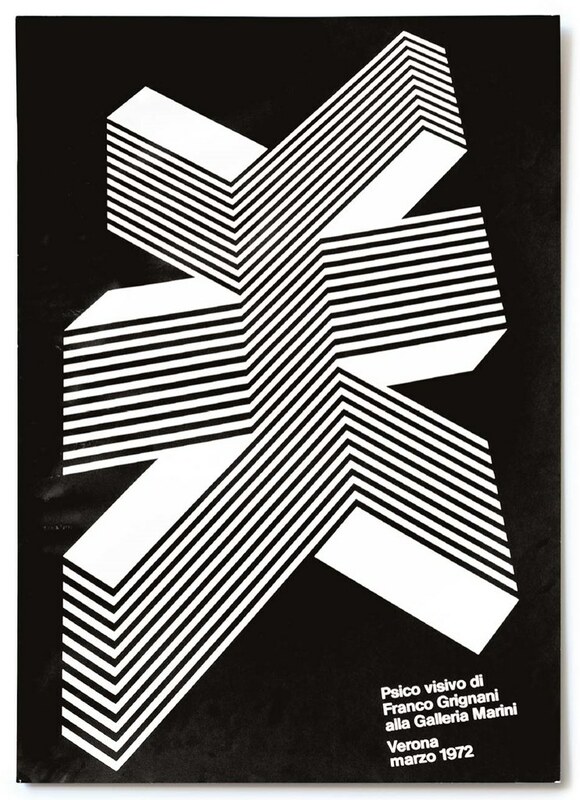 Franco Grignani, poster for Alfieri & Lacroix, 1960.